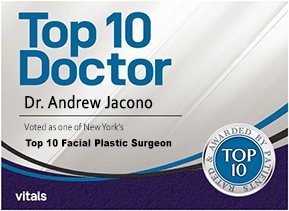 Lip Lift Dr. Andrew Jacono is a double board certified facial plastic and reconstructive surgeon who specializes procedures of the face. View before and after lip lift patient photos in this video. Upper lip lift surgery is a lip augmentation procedure that can provide long-term results and avoid the need for lip implants and lip injections. 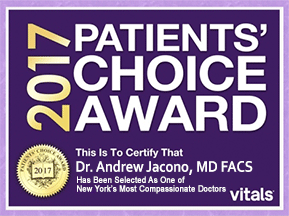 Dr Jacono is one of the Best New York City Plastic Surgeon specializing in natural upper lip lift before and after, using both the bullhorn upper lip lift and Italian lip lift techniques. According to the American Academy of Facial and Reconstructive Surgery, lip augmentation was one of the most common facial plastic procedures performed in 2014. As we age, our lips lose their fullness, which makes them appear older. Lips descend because of loss of support. This distance between the tip of the nose and the upper lip gets longer over time as well. Sometimes the upper lip becomes so long that it hangs over the upper teeth, and the face can take on an almost “ape like” appearance. Others are born with naturally thin lips with a long upper white lip and thin red lips. Whether young or old, lip lift surgery creates permanent results and avoids the need for excessive lip augmentation cost with repeat lip filler injections. Bullhorn (Subnasal) Lip Lift. The lip lift procedure targets only the upper lip, elevating it to reveal a broader smile. This procedure exposes more of the upper teeth at rest that tend to be covered as we age. It increases both the volume of the upper lip and for those with a very thin upper lip it can bring it to a better aesthetic proportion with the lower lip. During this procedure, an incision just beneath your nose, the shape of a bull’s horn. A tiny strip of skin and tissue is removed, the muscle tightened, and the upper lip is raised to its new position. With this lip lift, your scar is virtually undetectable. 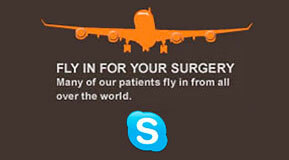 The procedure takes about 45 minutes and the recovery time is quick about 5 to 7 days. Lip lift cost can be less than other lip surgery because it can be done under local anesthesia so it avoids additional fees required for an anesthesiologist. Bullhorn Lip Lift Review of Procedure (Subnasal) The incision placed is hidden in the natural curves under the nose. This procedure can be customized to elevate the central lip or corners of the lip more. Gull Wing Lip Lift. Other upper lip lift types vary based on where the incision is placed. For example, a Gull Wing Lift removes a strip of skin above the border of your upper lip. 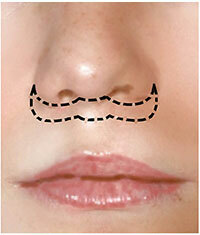 The cut-out is M-shaped to advance the border of your upper lip. The incision is made where the pink part of your lip meets the skin of your top lip. This lip lift leaves a visible scar and, as a result is not as desirable. Italian Lip Lift. The Italian lip lift consists of two separate incisions beneath each nostril. This has a smaller incision than the bullhorn lip lift. This is usually used when a more subtle lift is necessary, for lips hat are not as long. Skin is removed and the right and then the left lip are each separately lifted by closing the wound and reducing the distance between the lip and nose. Corner Lip Lift. Corner lip lifts are for people that have a sad look because the outer corners of their lips turn down. The incisions are made on the exact edge of the upper outer lips. A small triangular area of skin at the corner of the mouth is removed so that the lips turn up slightly in a more youthful manner. The corner of the mouth lift provides an alternative to patients who desire a more permanent solution to the management of deep oral commissure grooves (grooves at the corner of the mouth that drift down towards the chin, often referred to as a drool groove). If the grooves are deep and prominent, surgery may not provide 100 percent correction, but there is usually major improvement. 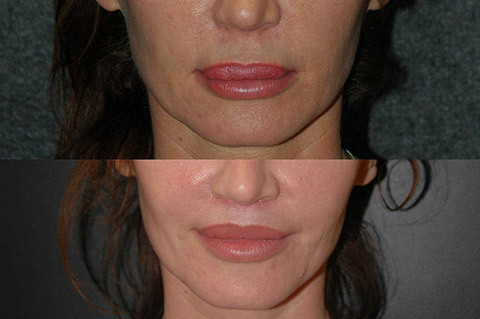 Lip Lift Before and After 1: This patient wanted to regain a more youthful appearance. She wanted to correct her drooping cheeks, her tired, wrinkled eyes, her nasolabial folds, and her droopy neck. She also did not like the way her lips looked like they were drooping down as well. Dr. Jacono performed a full facial rejuvenation which included a deep plane facelift, a temporal lift, an upper eye lift and lower blepharoplasty, a neck lift with a platysmaplasty, and a lip lift coupled with a chin augmentation. Her after results look very natural and this patient looks 25 years younger. 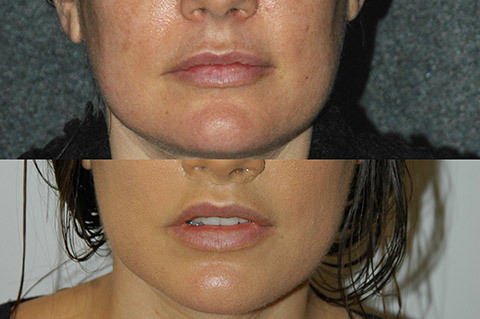 Lip Lift Before and After 2: This woman was upset with the length of her upper lip. It covered her upper teeth. Dr. Jacono performed an upper lip lift with a bulhorn lip lift technique. It created a fuller upper lip and shortened the distance between her nose and the top of her mouth. Now you can see her beautiful teeth at rest and she has a more youth lip. 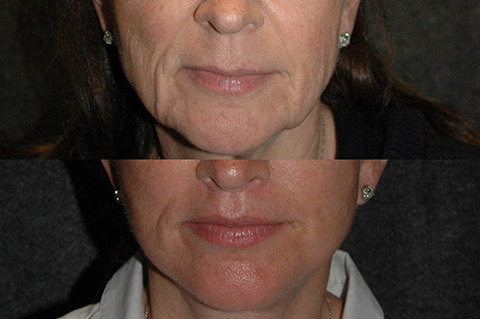 Upper Lip Lift Before and After 3: This female patient woman had a lip that became long and thin with age. She wanted a fuller and more youthful upper lip. Dr. Jacono performed an upper lip lift procedure and the after photo shows a poutier lip that looks more youthful. Lip Lift Before and After 4: This patient was unhappy with how her lips have thinned out over the years. She wanted to ad more volume and enhance her cupids bow. Dr Jacono performed a lip lift and you can see that her after photos show fuller more youthful looking lips. Lip Lift Before and After 5: This female patient wanted to have fuller lower lips and a more pronounced cupids bow. Dr. Jacono performed a lip lift by adding more volume to her lower lip and gave her upper lip more defined peaks for that pop she was looking for. 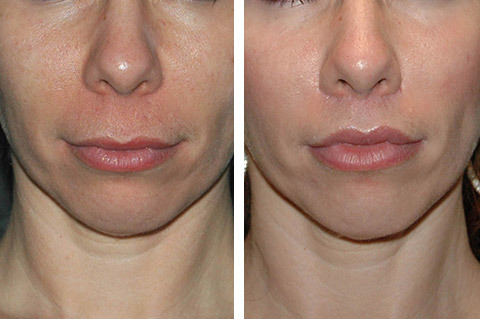 Upper Lip Lift Before and After 6: This young woman was upset with her thin upper lip. Dr. Jacono performed an upper lip lift procedure which create a fuller upper lip and shortened the distance between her nose and the top of her mouth. 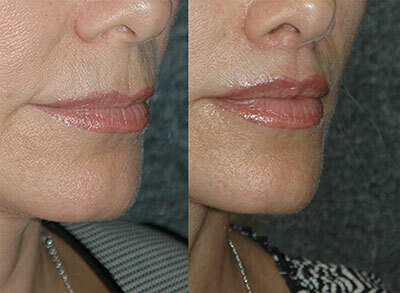 Gullwing Lip Lift Before and After 7: This young lady wanted to have fuller lips. To accomplish this task, Dr. Jacono performed a gullwing lip lift procedure which allowed for the fuller, poutier lips that this patient desired. Lip Lift Before and After 8: This young woman was born with a long upper white lip covering her teeth and making her upper lip disproportionate. After bullhorn lip lift, the teeth are no longer covered by the upper lip and the red lip appears fuller and more enhanced. The incision is not visible placed in the natural curves underneath the nose. 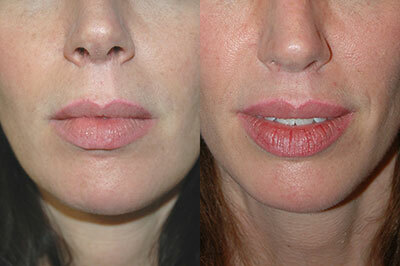 Italian Lip Lift Surgery Before and After 9: This woman wanted a subtle lift to her upper lip that elongated with age. After Italian lip lift, the lip looks fuller and more pouty, and less long. There are two hidden incision that are placed under each nostril. 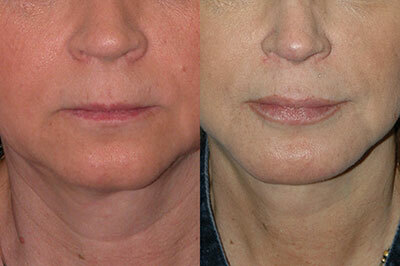 Lip Lift Surgery and Corner Lip Lift Before and After 10: This woman wanted to reverse more significant sins of aging. After combining a subnasal lip lift and corner of mouth lip lift, the lip looks shorter and more aesthetically balanced with the corners of the mouth turned up. 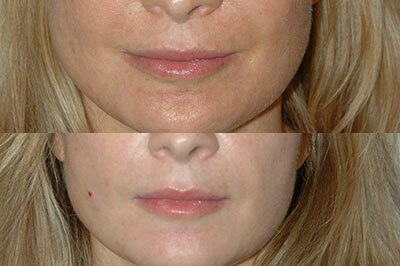 Lip Lift Before and After 11: This young woman wanted to create a fuller and more pouty lip. After a modified bullhorn lip lift the lip is augmented with more projection and pout. Lip Lift Before and After 12: This young woman previously had silicone injections into her lips by another doctor. She came to see Dr. Jacono because her upper lip was overfilled and caused her lip to droop and become longer. Dr. Jacono performed a lip lift to create a more natural appreance. He performed a bullhorn lip lift technique in conjunction with a lip reduction. 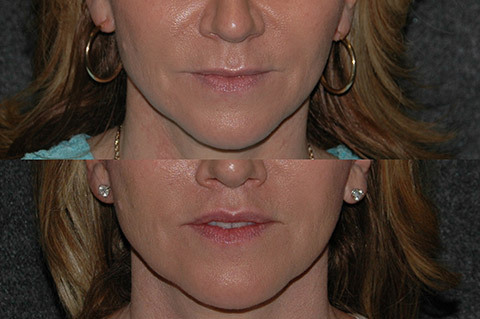 Lip Lift Before and After 13: This middle age woman wanted a fuller upper lip and wanted it to be slightly lifted. Dr. Jacono performed a lip lift procedure to shorten the distance between her upper lip and her nostrils and to restore her lost volume. Lip Lift Before and After 14: This young woman wanted to create fuller, more pouty lips. She especially wanted to enhance the appearance of her ‘Cupids Bow’ at the top edge of her upper lip. Dr. Jacono performed a lip lift procedure and her after results look great!